When you think Angelus, you might have in mind a chronograph with a calendar complication, a watch that collectors know as the Chronodato. 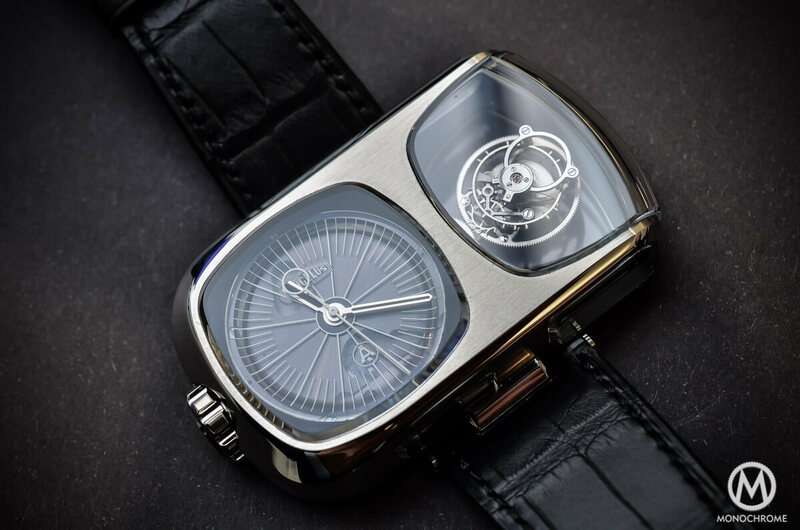 Here, at Monochrome-Watches, we also shared this thought and when we heard that Angelus was about to be re-launched, we expected a sort of modern interpretation of these vintage watches. 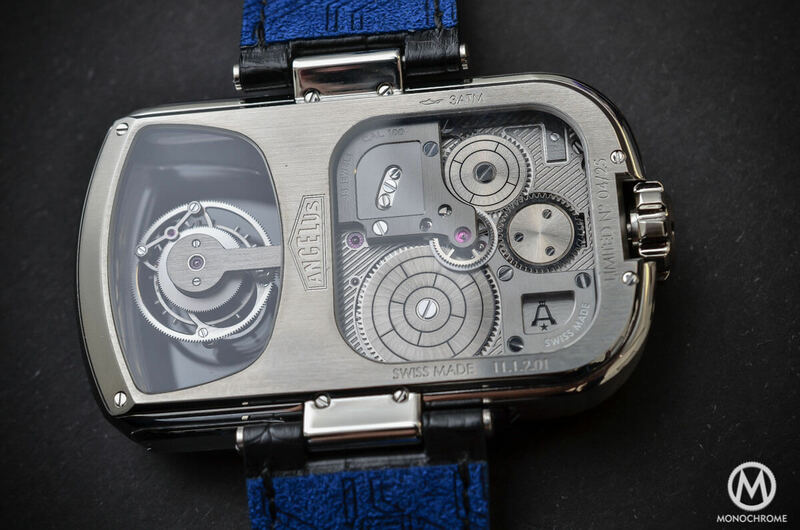 But then came the Angelus U10 Tourbillon Lumiere – and oh my friends, how modern it is! In fact, it took us a while to understand how this watch was linked to the name Angelus. After a talk with the designer and some time with the watch, here are our thoughts. Remove the logo and the brand from the dial and you could easily think that the U10 Tourbillon Lumiere is an MB&F, a Hautlence or an HYT. 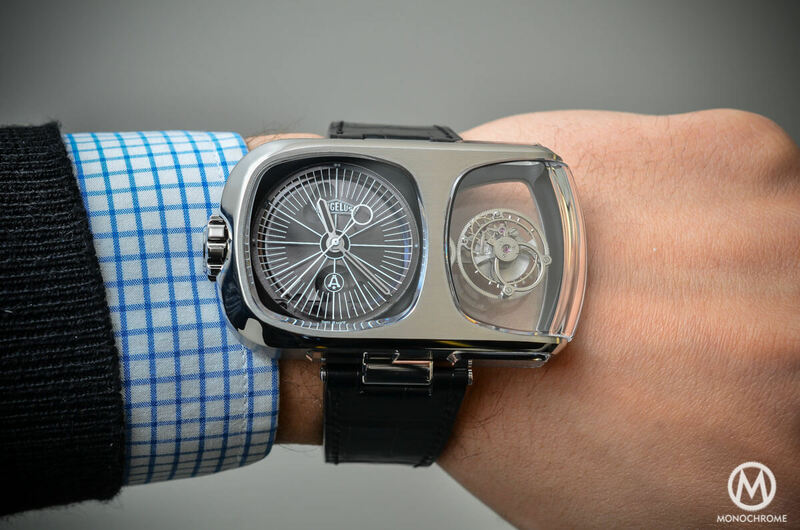 This watch is (at first sight) pure avant-garde, modernism and feels architectural, transparent and ambitious. It is difficult to think that this watch is stamped Angelus – and we can tell you, some long-time vintage collectors even screamed out heresy or scandal. However, if it’s quite convenient and easy to re-launch a brand with vintage-inspired timepieces (and to talk for hours about heritage, passion and history… with in fact nothing else than mere marketing verbiage and preaching), this Angelus is another story. The goal here was not to directly recall the past but to imagine watches slightly inspired by the heritage of the brand, in a modern interpretation, like if Angelus had always been here. The names behind the re-birth of Angelus are familiar. The idea is born in Sebastien Chaulmontet’s mind – for the story, he’s head of movement development and part of the design team of Arnold & Son and La Joux-Perret. Chaulmontet is also known in the vintage watches community to be a great chronograph collector and especially of vintage Angelus watches. Because of that, people in the need of details often reached directly to him. But a few years ago, someone gave him a call with an offer to buy the rights to the entire Angelus brand – an offer that he accepted. He bought the brand together with La Joux-Perret (which now owns the brand) and he started to think about the way to recreate Angelus watches. The first watch, the Angelus U10 Tourbillon Lumiere, was born with 2 objectives: showing the world that the brand is back on its feet and giving some guidelines for the future collections. 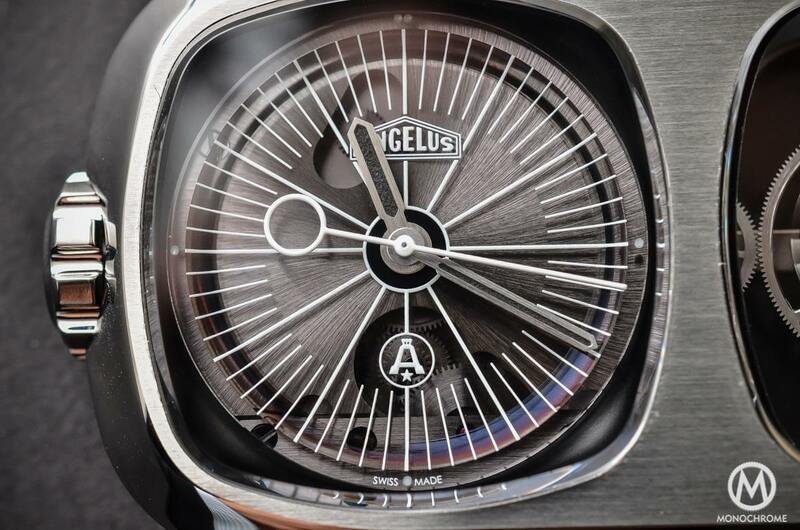 The U10 is not necessarily representative of the name Angelus, neither from the watches that could be introduced later. It’s like like throwing a large stone into a pond to create a shock wave (for the info, Angelus is already teasing us with parts of their future watch on their Instagram account). Even if extremely bold, modern and architectural, the Angelus U10 Tourbillon Lumiere is not completely forgetting the roots of Angelus Watches, and some details are clearly inspired by vintage pieces – but not from the watches that you expected to be re-issued. The inspiration is taken from 1960s and 1970s travel clocks, as you can see from the squared face and the design of the dial itself. The dial is also inspired by 1960s / 1970s German and Italian industrial design – such as the top crystal that reminds us of an old transistor TV screen (something we explained to you when the watch was introduced). Finally, there’s even a bit of irony in this watch, just to tell the world that the brand was dead but that it’s now back on its feet. 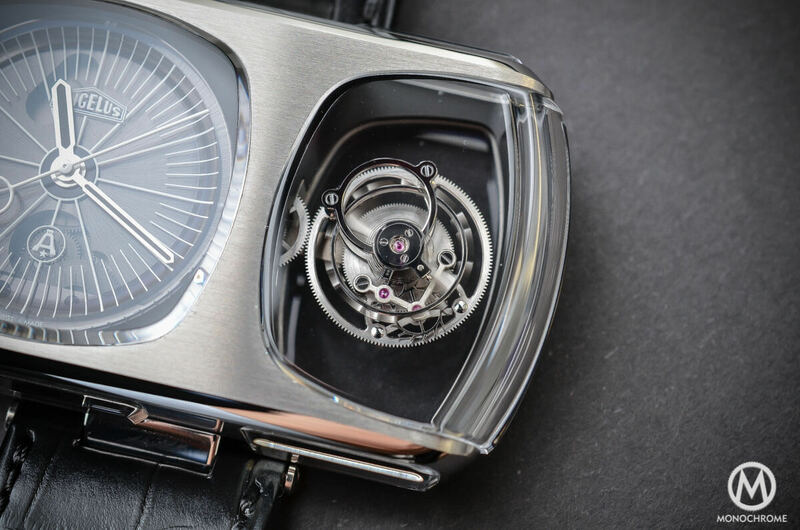 Indeed, the Angelus U10 Tourbillon Lumiere features a dead beat second, a mechanical device where the second hand acts like the one on a quartz watch – an instant jump every second instead of a continuous run over the dial. This choice is a recall from the 1970s and to the quartz watches that finally buried the brand (like many brands at that time, Angelus had to close its doors after the arrival of Japanese quartz watches on the market). 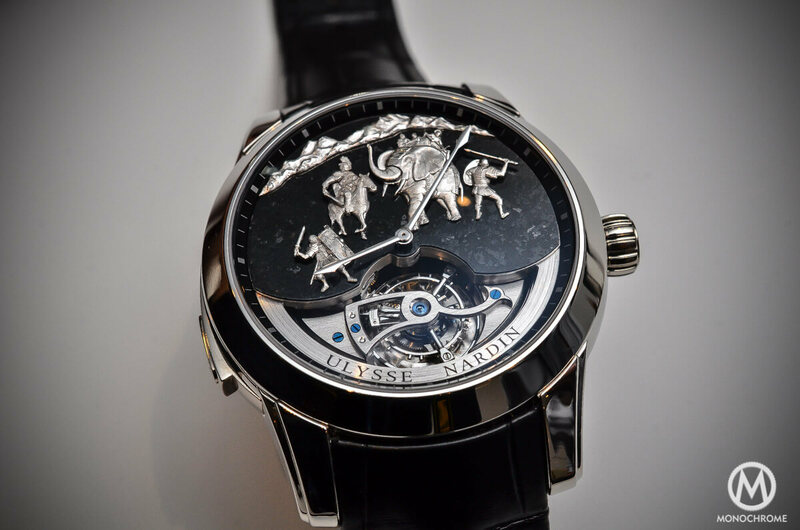 Now that we know what to expect with Angelus in general, let’s have a look at this U10 Tourbillon. Once the frustration of not having a reissue of a Chronodato in our hands passed and now that we know that this watch is in fact closer to the spirit of the brand than we expected at first sight, we have to admit that the U10 is really quite a watch. 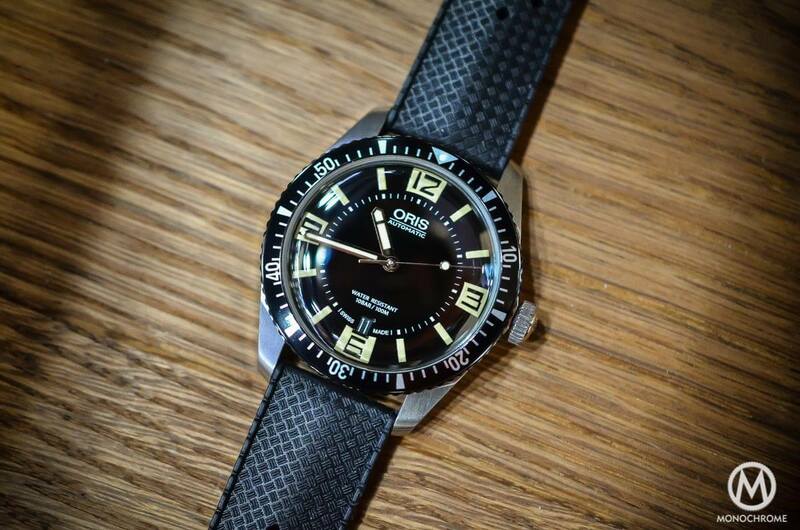 For sure, with its stainless steel case sized like a brick (62.75 mm x 38 mm x 15 mm), it is not the average daily beater. However, there’s a certain outdated charm in this watch, a sort of pre-disco style that totally feels 1970s. The execution is modern for sure but several details are still inspired by vintage objects (not only watches). There’s a bit of these early 1970s TV-screen watches in it. 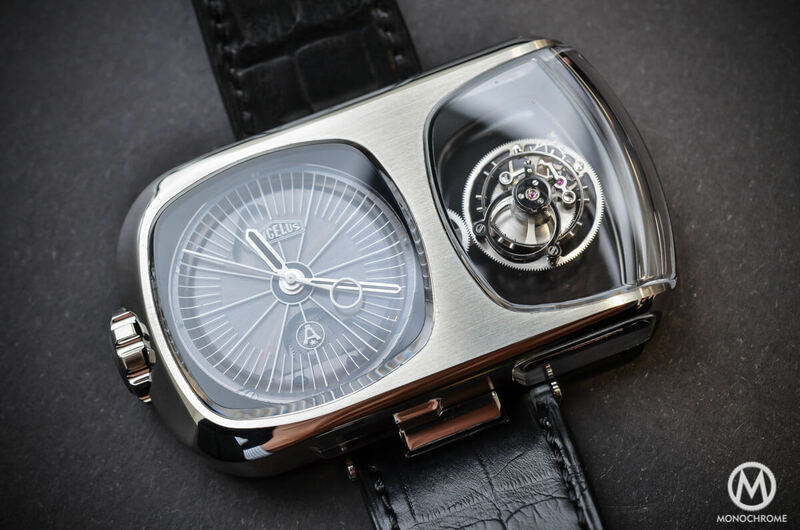 Just like an MB&F that looks modern with however older inspirations in its DNA, this Angelus is more complex than just being an impressive, quite shocking watch. It has a sort of vintage electronic style. This feeling is clearly visible on the dial too, as it is made of a translucent-grey coated concave sapphire disc on which are printed long and thin baton markers – again something that recalls 1960s and 1970s industrial design and vintage clocks made by Angelus. 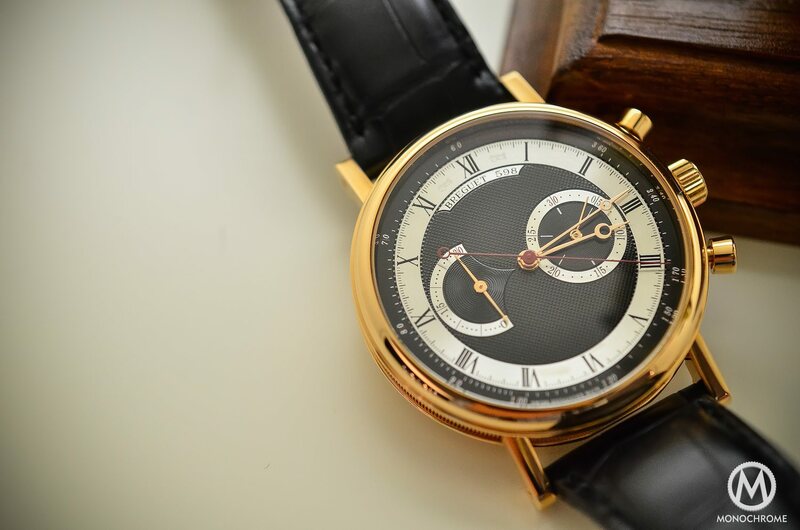 This watch at first appears a simple one as it only displays the time with 3 hands, on a round dial. However, there’s a second part that exhibits one of the largest tourbillon ever seen (the largest enclosed in a wristwatch is still the Frank Muller Giga Tourbillon with a 20mm cage) but this one, at 16.25mm is huge – and the fact that it is shown in a dedicated part of the watch and fully circled with glass makes it appear even bigger. This flying tourbillon seems to be floating in the middle of nothing as it is only link to the rest of the watch with an almost hidden gear on its left. 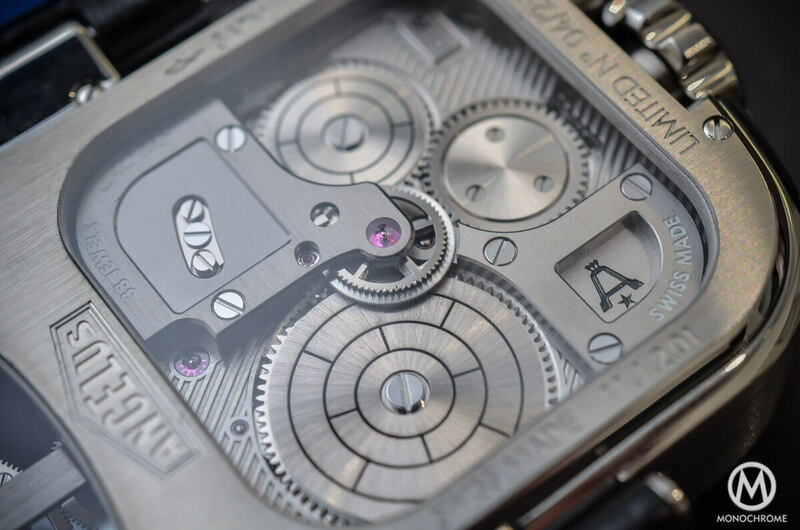 The rest of the movement is made up to standards that you can expect from La Joux-Perret, but with an interesting look and finish. No vintage methods here as the movement is laser-engraved and satin-finished with a criss-cross pattern. The two ratchets are also laser-engraved and then enameled. The rest of the finishes show haute-horlogerie clues, with hand polishings, chamfered angles or different grained surfaces. The Angelus U10 Tourbillon Lumière comes with two barrels for a 90-hour power reserve, quite a large amount considering the very large tourbillon and the dead beat second complication. On the wrist, we’re not going to hide that it’s a very massive and large watch. The height is reasonable at 38mm but the width (more than 60mm) makes it quite difficult to wear. 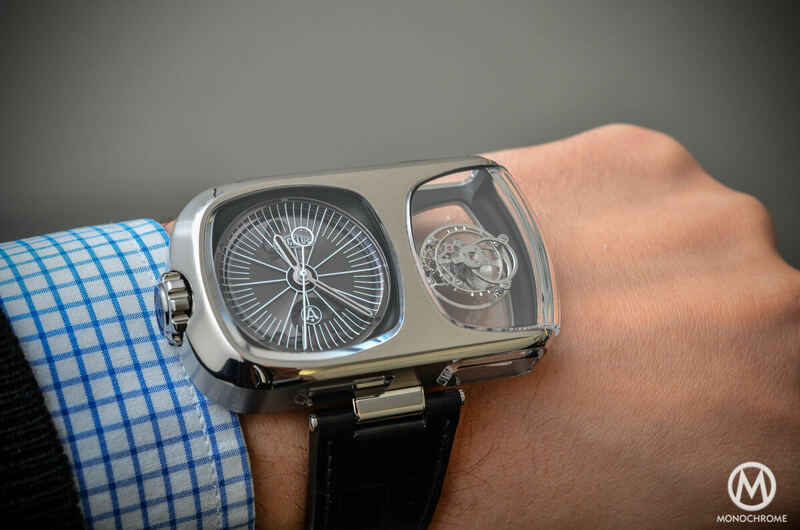 However, do remember that the U10 Tourbillon is a showcase watch to celebrate the re-birth of the brand. Later, Angelus will probably come with easier watches. 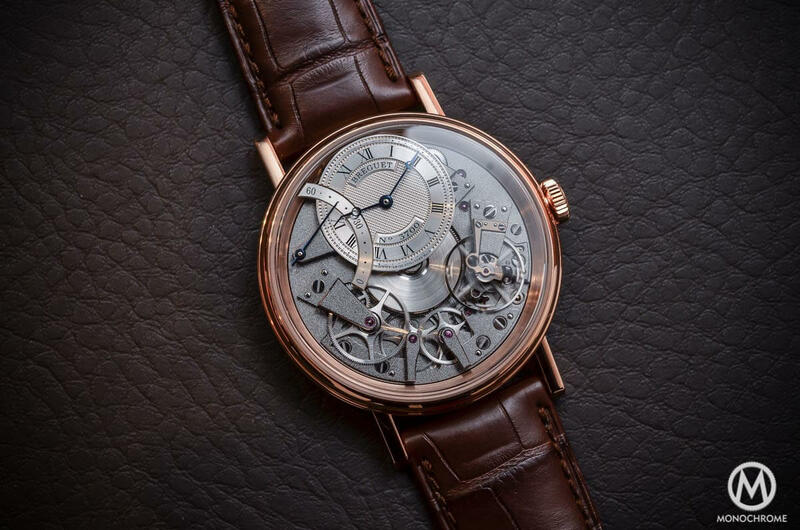 The word showcase actually fits quite well the U10 that exposes a lot of its innards, due to 7 sapphire crystals (one over the dial, one on the back to show the movement, 1 on the the side to reveal the linear power-reserve indicator and 4 for the tourbillon, including a 90° cambered one). To conclude, this U10 Tourbillon Lumiere brings an interesting question: is this the watch that we were expecting for the re-birth of Angelus? Certainly not… Many collectors were waiting for a vintage inspired chronograph. Does it mean that the U10 lacks of interest? Again, certainly not. 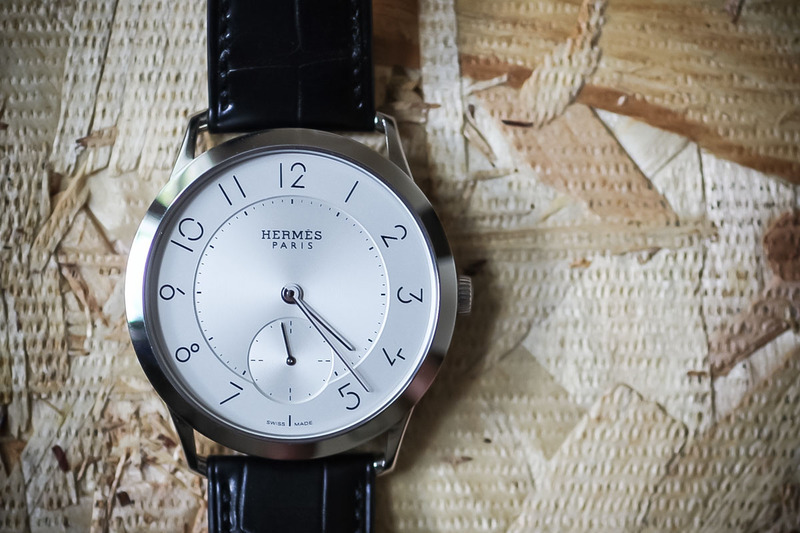 This watch is much more intelligent, serious and deliberate than just a re-issue of an old chronograph. It has a lot hidden in its design that recalls the past of this manufacture. Considering that the man behind this launch is a great collector that has a huge respect for this brand, the U10 has to be taken seriously. Again, it’s a showcase to create the buzz. We’ll see what the next editions will be. Price: 108.600 Euros. The dial itself is very nice. The watch as a whole however looks ridiculous! E.g. JLC could attach a strap to its Atmos clock; and whilst it would still be an amazing piece of engineering as the clock is, it would nonetheless be a failure as a watch design.